The 9-hole Canyon Mesa Country Club in Sedona, Arizona is a public golf course that opened in 1985. Designed by Jack Snyder, Canyon Mesa Country Club measures 1450 yards from the longest tees. The course features 3 sets of tees for different skill levels. 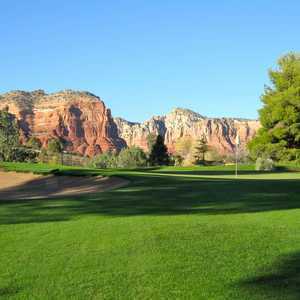 The 18-hole Oakcreek Country Club in Sedona, Arizona is a semi-private golf course that opened in 1968. Designed by Robert Trent Jones, Sr. , Oakcreek Country Club measures 6824 yards from the longest tees and has a slope rating of 131 and a 71. 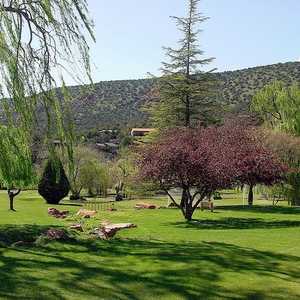 The 9-hole Poco Diablo Resort in Sedona, Arizona is a resort golf course that opened in 1966. Designed by Jack Snyder, Poco Diablo Resort measures 777 yards from the longest tees. The course features one set of tees. 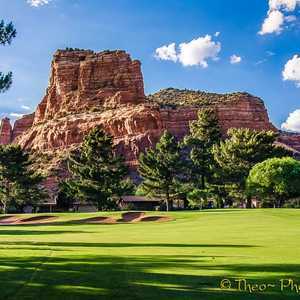 Nestled amidst the beautiful Red Rocks of Sedona, Sedona Golf Resort offers truly unique scenery. The golf course sprawls across elevations ranging from 3,960 feet to as much as 4,260 feet, a landscape that provides elevated tees, raised greens, tricky lies, and difficult approach shots.